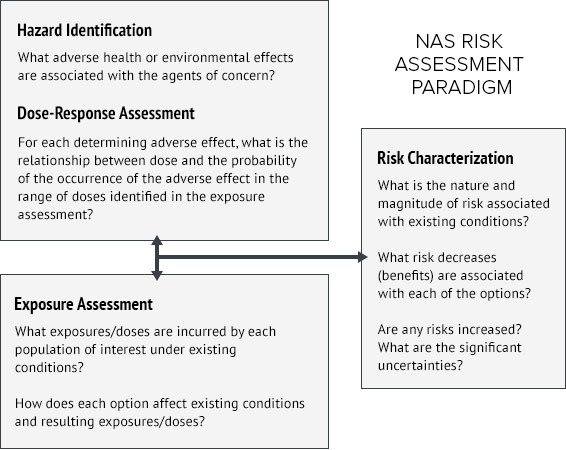 The underlying mission of exposure science is to study human exposures to chemical, physical, and biological agents, and to advance state-of-the-art scientific methodology for estimating health risks associated with these exposures. Working in accord with this mission, Chemistry & Industrial Hygiene, Inc. (C&IH) specializes in exposure evaluation and risk assessment of occupational and environmental health hazards in the workplace and community. Protecting a workforce or community from occupational and environmental hazards depends on accurately identifying potential health exposures and their associated risks. C&IH’s exposure assessment practice utilizes state-of-the-art industrial hygiene and scientific methodologies that are based on the National Academy of Sciences (NAS) risk assessment paradigm as adopted by the United States Environmental Protection Agency (US EPA) for assessing and managing risks. Using peer-reviewed and validated methodologies, C&IH performs contemporaneous, prospective, and retrospective exposure assessments. Our staff characterizes specific workplace, work practice, and product exposures considering the chemical, physical, and biological properties associated with specific agents. Retrospective and prospective exposure assessments may include qualitative or quantitative estimations of time-specific, location-specific, product-specific, and/or lifetime exposures, including exposure apportionment to a specific product, process, and/or timeframe. To complete a retrospective assessment, involving historical job sites or hazards that are no longer occurring, we make use of relevant records, depositions, interrogatories, exposure assessment literature and databases, and other available documents to assist in our exposure evaluations. Industry-leading scientific resources and technology are used by our staff to perform exposure assessment design, estimation, and validation including advanced statistical modeling programs, three-dimensional exposure modeling software technology, and a fully-modifiable simulation testing chamber designed by C&IH’s ventilation engineering professionals and certified industrial hygienists. C&IH has conducted exposure assessments concerning particles, gasses, fumes, mists, and vapors in a wide variety of environmental, occupational, and non-occupational environments. Our staff of toxicologists, applied epidemiologists, statisticians, industrial hygienists, and engineers have characterized exposures associated with sand blasting, the use of lead enamels, lead-based paints, asbestos-cement duct and pipe installation and removal, muffler disassembly activities, asbestos surfacing material application, pipe-insulation debris clean-up, wallpaper removal with enzymes, organic solvent-containing spray painting, welding activities, and a wide variety of other chemical, physical, and biological hazards. By effectively identifying, prioritizing, and quantifying health exposures, C&IH facilitates the identification and management of hazards and associated risks in environmental, occupational, and non-occupational settings.